The Primo features a Full HD AMOLED display, a hexa-core Snapdragon 808 CPU with 3GB of RAM and 32GB of internal storage. The 21MP f/2.2 auto-focus rear camera has dual LED flash, and supports up to 4K video recording. The front-facing camera is 8MP f/2.2 and supports 1080p video recording. We know that the Liquid Jade Primo is currently slated for a February launch in Europe with a price of around $620. The new Liquid Jade Primo is a 5.5-inch smartphone running Windows 10 mobile. Many of its design elements are similar to the previous Liquid Jade Z. 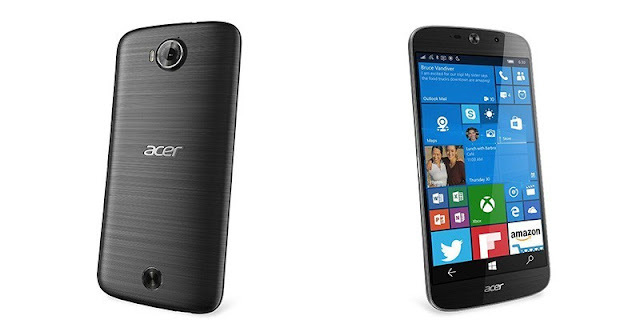 We know that the Liquid Jade Primo is currently slated for a February launch in Europe with a price of around $620.